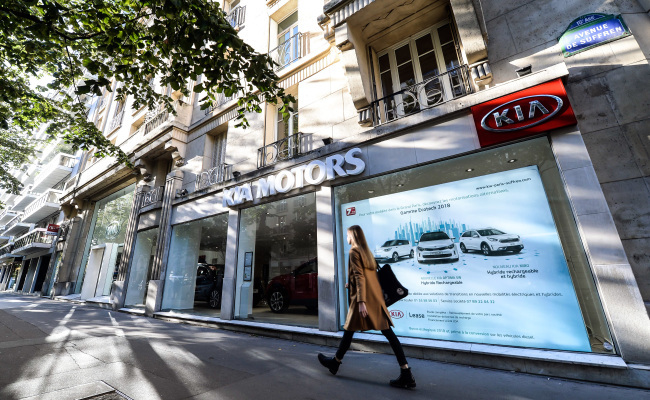 PARIS -- Still considered young brands, South Korean carmakers Hyundai and Kia are expected to sell more than 1 million vehicles in Europe this year, 41 years after they entered the continent home to car manufacturers aged more than 100 years old. In the January-August period, the two carmakers under Hyundai Motor Group sold a total of 715,050 passenger vehicles in Europe, according to the European Automobile Manufacturers Association. Hyundai saw a steep growth in sales in the same period, selling 378,834 vehicles, a 9.8 percent on-year increase. Kia sold 336,216 vehicles, a 5.9 percent on-year increase. By the end of the year, Europe will become the third regional market for Hyundai and Kia, reaching the 1 million-unit mark in sales, the company said. Since entering Greece in 1977 with 300 units of the Pony, dubbed Korea’s first-ever car, Hyundai has gone through tough times in Europe in light of competition with a number of auto giants including Volkswagen, BMW and Renault. It took 30 years for the carmaker to attain half a million units in European sales in 2008. 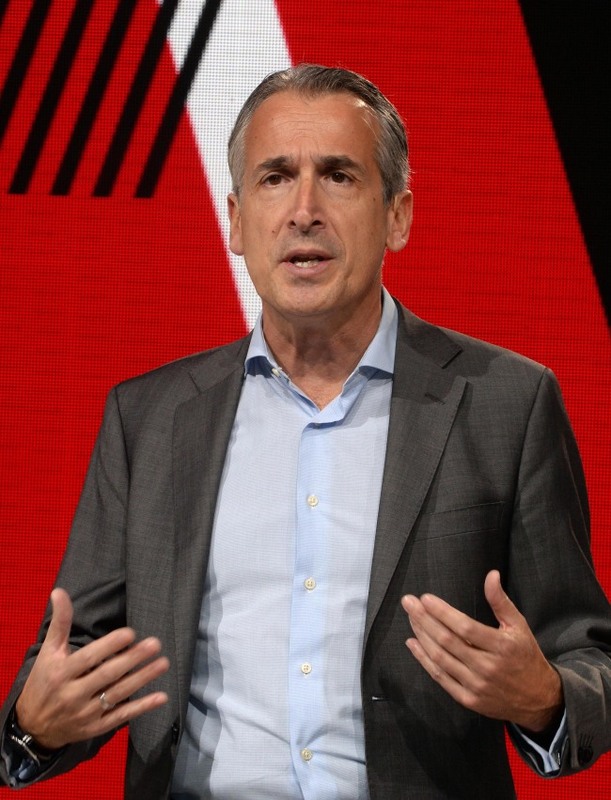 “And we will never stop growing,” Emilio Herrera, chief operating officer of Kia Motors Europe, said in an interview with Korean reporters covering the Paris Motor Show. Armed with a diverse lineup ranging from the practical Ceed family to the dynamic sporty vehicle Stinger, Kia is present in almost all segments, based on the foundation of quality and design, according to the official. But now is the time to focus on enhancing Kia’s reputation as an “electrified brand” in order to meet growing demand for green cars and to survive amid intense competition with European brands and Chinese carmakers, he added. Seeking market debuts in Europe, Chinese auto manufacturers participated in the French motor show that began Tuesday, highlighting their low price range and strength in electric vehicles. Meanwhile, traditional players in Europe like Volkswagen and BMW are making huge investments for green car development. Nevertheless, the window of opportunity is still open for Kia to consolidate its presence as an electrified brand and that is the way to sustain its growth, Herrera said, adding that Kia expects to see sales growth of 4 to 5 percent this year. Chinese carmakers making inroads into Europe will face challenges, as Europe is overregulated in terms of safety and has complicated tax systems. Most importantly, the appearance of these carmakers will not affect Hyundai’s sales in the region, according to officials. “Hyundai motor is very well-developed in technology and distribution. It is particularly sophisticated and efficient in manufacturing. I don’t see dangers for our brand in the short term,” said Thomas A. Schmid, COO of Hyundai Motor Europe, in a separate interview. The key driver of Hyundai’s growth is its sport utility vehicle segment, but the carmaker’s capabilities in the areas of technology and high performance will further improve the brand. “The market’s understanding towards Hyundai is changing. We are now innovative, high tech. We are no longer just recognized as ‘value for money’ cars,” he said. Two important factors that have improved Hyundai’s brand image and value are its progress in the electric car market and fuel cell technology, he added. Besides investing in all segments, including HEV, PHEV and pure EVE, Hyundai sells the electric version of its Kona SUV in Europe. The company also has an upper hand in fuel cell technology which is in high demand in such Northern European countries as Denmark and Norway. The compact car brand i30 was another success in which the carmaker added both technology and high performance aspects. At the Paris Motor Show, the company unveiled the i30 Fastback N, the third one under its high-performance brand N, a year after it launched the i30 N.
The company is still reviewing the possibility of adding an eco-friendly lineup to the popular i30N, as the compact vehicle segment is declining in contrast to SUVs. Hyundai and Kia are more recognized as SUV makers than producers of compact cars. The Tucson was the best-selling Hyundai car in Europe, with 47,244 units sold as of April this year. The company sold 154,056 units last year. A facelifted Tucson will likely hit the market in the second half of the year, according to reports. Despite making progress in Europe, the economic crisis in Turkey poses a challenge to Hyundai Motor Europe, which is responsible for a manufacturing plant in Czech Republic and both manufacturing and distribution in Turkey. “The currency value is dropping dramatically. The interest rate is increasing. Due to the rising interest rate, the domestic demand is dropping. In parallel to the currency loss of 6 percent in one year, that means that for all vehicles we sell there, it is heavily harming the profitability,” Schmid said. To stay profitable, Hyundai might have to include other markets such as Russia and the Middle East. “The process of becoming a regional headquarters is not finished because more countries should come. We have to secure the flow of money,” Schmid said. 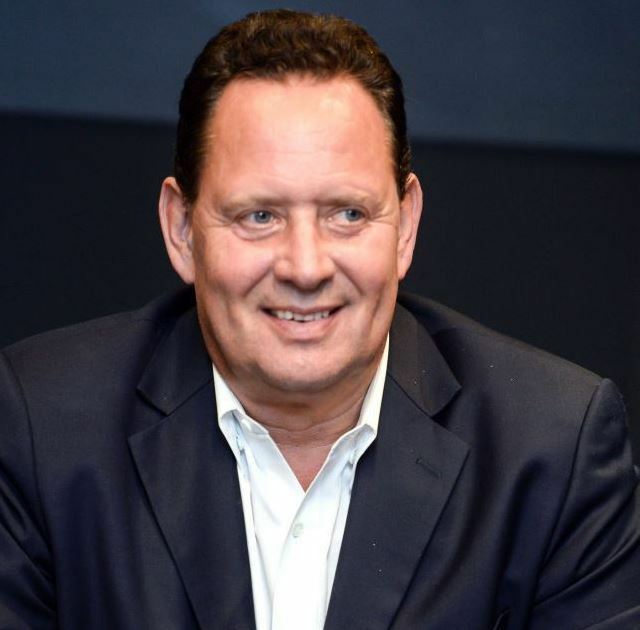 Schmid has been responsible for Hyundai’s operation in Europe since 2015, while Herrera was promoted to the COO position in April.